This is going to be a quick post because well the holiday’s are over and we have a lot of other things to see and do with the new year upon us. 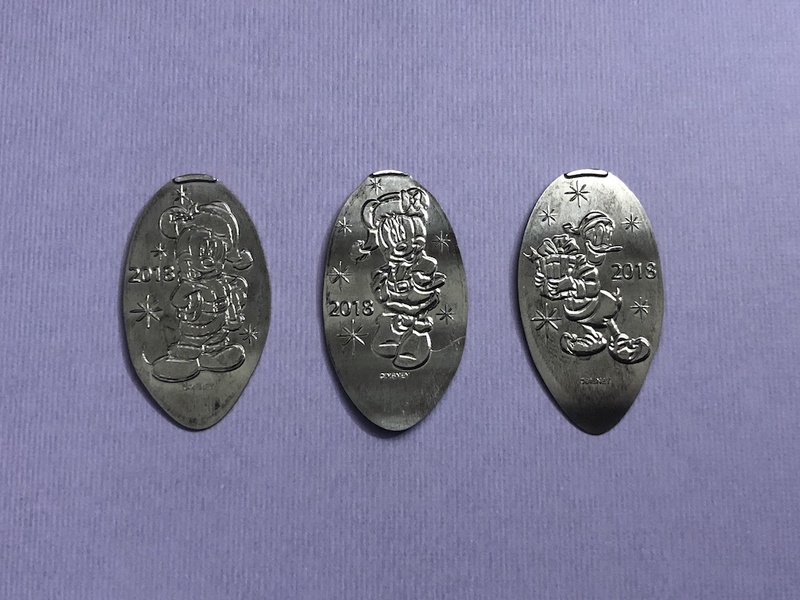 But these coins were part of a strange situation that we don’t know much about and made them a bit of a hot commodity this year. 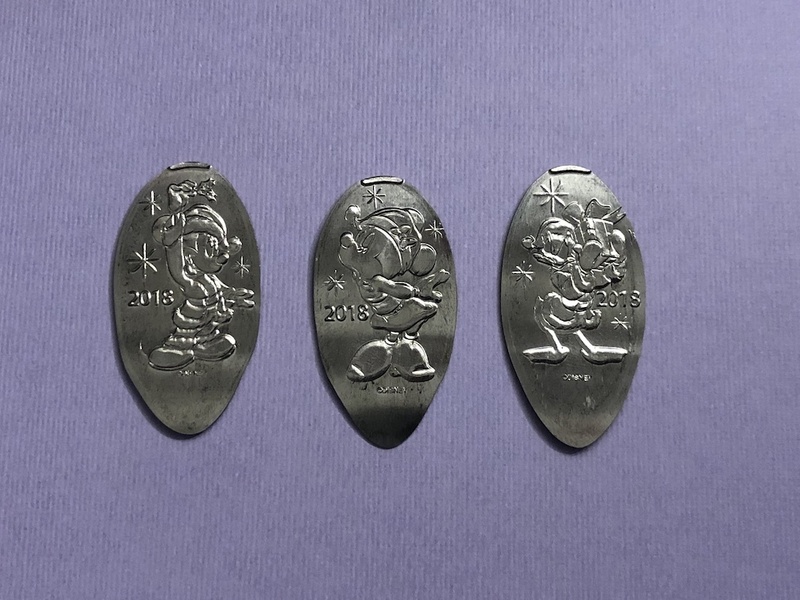 On December 21st it was reported that the pressed nickel set was released in the California Adventure park at Jolly Trolley Treats on Buena Vista Street. 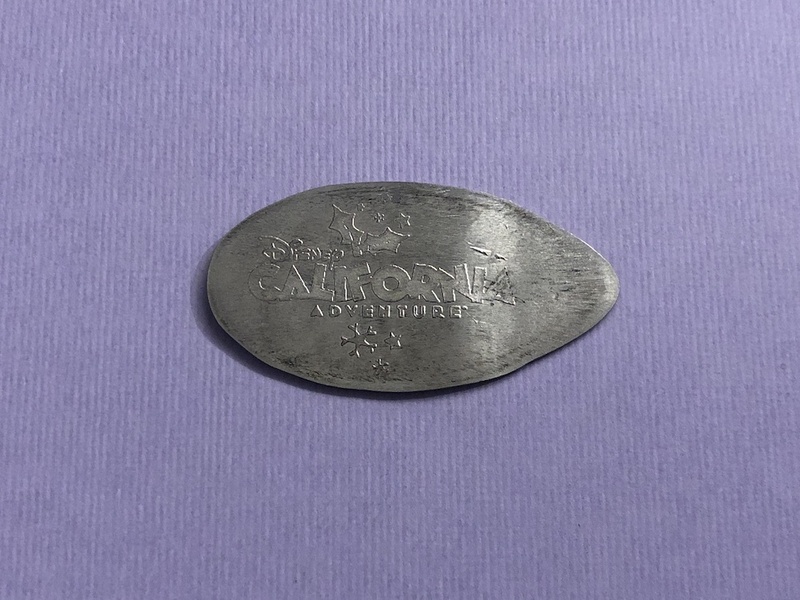 As always they have a nice backstamp on each of the pressed coins with a bit of holiday decoration. I only noticed after taking the above pictures of this set that the Mickey and Minnie designs go together with Mickey holding some Mistletoe and Minnie leaning in to give him a kiss. Kind of a cute set within the set. Then Christmas came and went with no Disneyland set. Followed shortly after by New Years coming and going and still no Disneyland set. 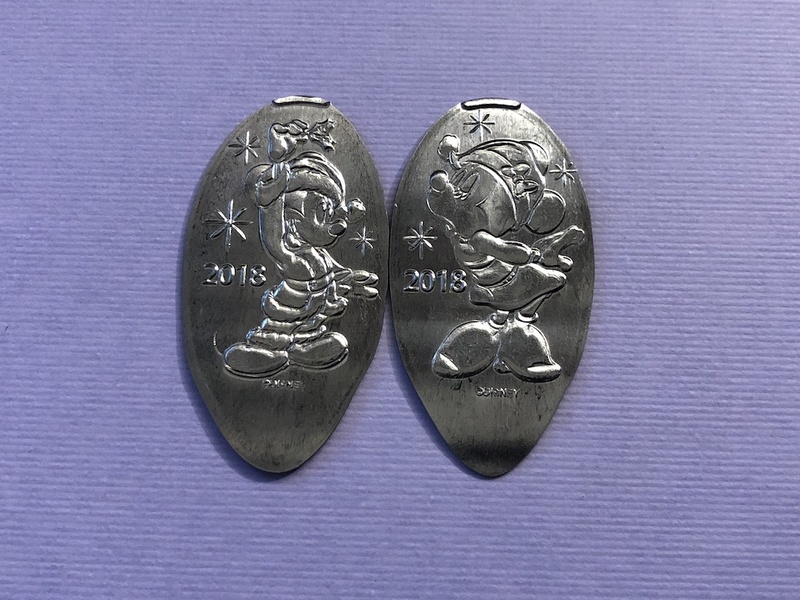 Then on January 2nd the Disneyland Holiday Nickel set finally appears in the Main Street Penny Arcade. 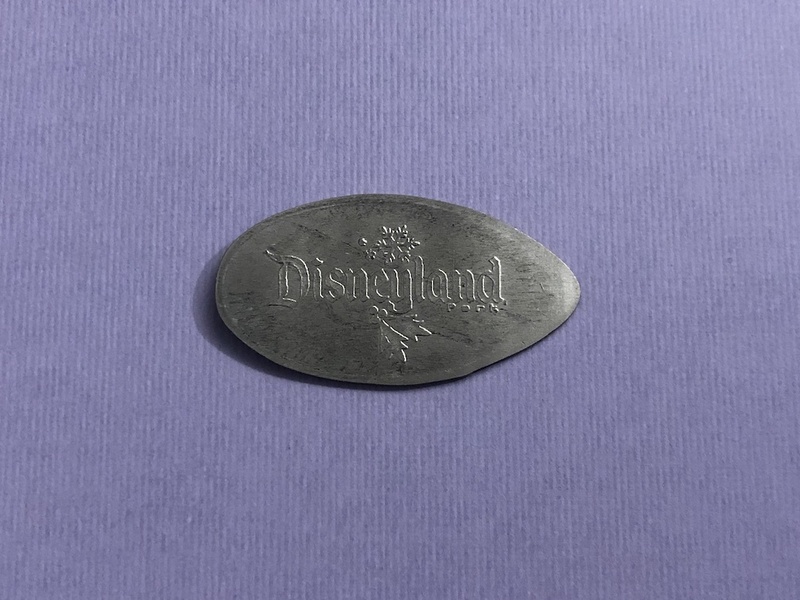 Similar backstamp for the Disneyland coins, and to be honest even the front designs are very similar with the characters just in different positions. The strange thing is that these coins were then pulled off-stage only a week later on January 8th. So these sets were only available for a very short time, especially the Disneyland set which was only a week. Luckily I was able to get a set from a friend in California, but just be aware that if you are looking for these on eBay or another aftermarket merchant the cost may be higher than usually due to this limited availability. I’m not sure if there was a problem getting the designs made, or if they had to scrap other designs and that’s why we got similar ones. Either way it was still nice to keep this annual tradition going and hopefully next year the machines will be available for just a bit longer allowing more people to press a set.